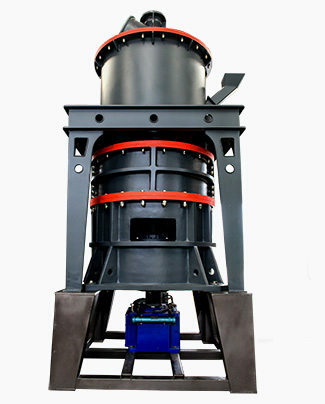 XZM Series Ultrafine mills are designed for pulverizing minerals, material can be pulverized into 325-2500Mesh. 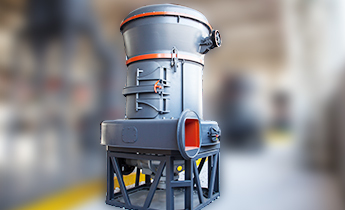 It is a new superfine powder production equipment developed through accumulating years of experience, it symbolizes the new development and new science in the grinding world. The brand-new structural design not only lowers the operation and maintenance cost, but also does well in environmental protection and finished product quality. Applicable materials: limestone, calcite, dolomite, kaolin, grouper from soil, mica, cordierite, barite, sepiolite and fluorite, etc. 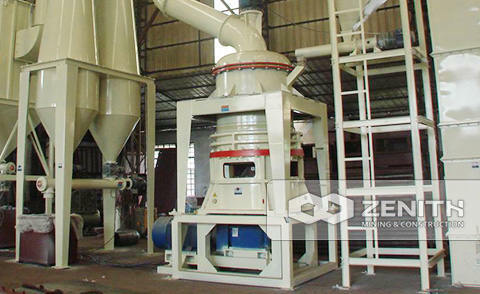 XZM Series Ultrafine Mill is widely used for micron powder producing. 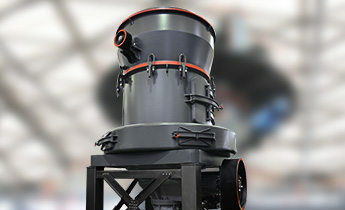 After the bulk material is crushed to the required size by the hammer crusher, it is fed into the silo by the hoist, evenly and continuously by the feeding equipment into the main engine, and the material entering the main engine falls onto the bulk tray on the upper part of the main engine turntable with the inclined guide pipe. It owns many independent patents, such as the advanced design of grinding cavity, intelligent speed control, etc. 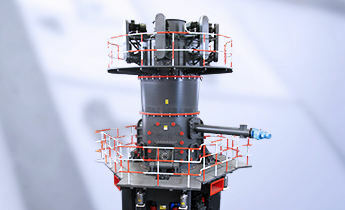 XZM Ultrafine mill can increase 40% of capacity and decrease 30% of energy consumption. There are no rolling bearings and bolts in grinding cavity, so problems caused by bolts shedding or wear of bearings and seals will never happen. The special wear-resistant material, high-density 60Si2Mn, which is used in the ring and roller, making the service life much longer. The speed control device can make particle size more uniform, and it can be adjusted conveniently. Product fineness can be controlled between 325-2500 meshes, which are applicable to most industries. The adoption of the impulse dust cleaner and muffler can reduce the dust pollution and noise. 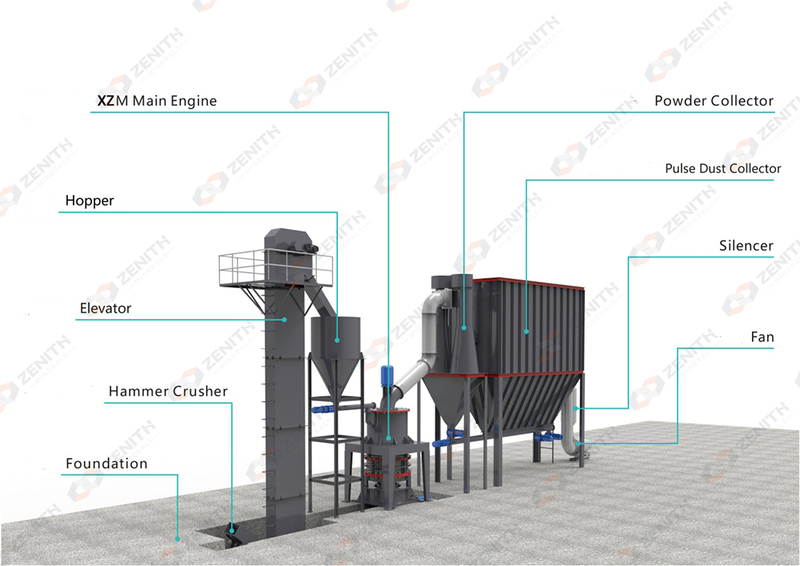 XZM Series Ultrafine mills are widely used in various industries such as building materials production, chemical industry, ceramic material production and the thermal power plant(coal pulverized). A mining company in India intended to produce calcium carbonate powder with fineness of 5-10 micron, and the required capacity is 1.0 ton per hour. They already had a primary 16" 10" jaw crusher. According to customer’s requirement, we recommended a full set of XZM221 Ultrafine mil. The mill was installed in 2009, and it runs perfectly in India now. A factory in Egypt intended to set up a talc and calcium carbonate powder processing plant, and their requirement of powder fineness was 1250 mesh and capacity was 1.5 tons per hour. According to their needs, we recommend them to use our XZM221 Ultrafine mill for this project. Now the plant is running stably, and the clients are very satisfied with it. 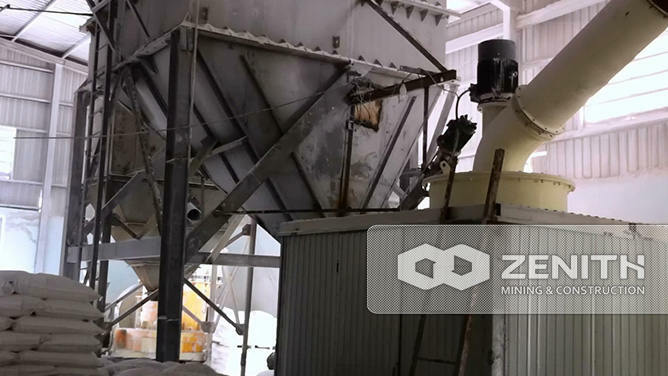 A client from Zhejiang needed a mill to produce limestone and calcite powder. His requirement for powder fineness was 600-1250 mesh.The client chose XZM221 Ultrafine Mill of Zenith after visiting our company. The equipment helped the client complete his production target.